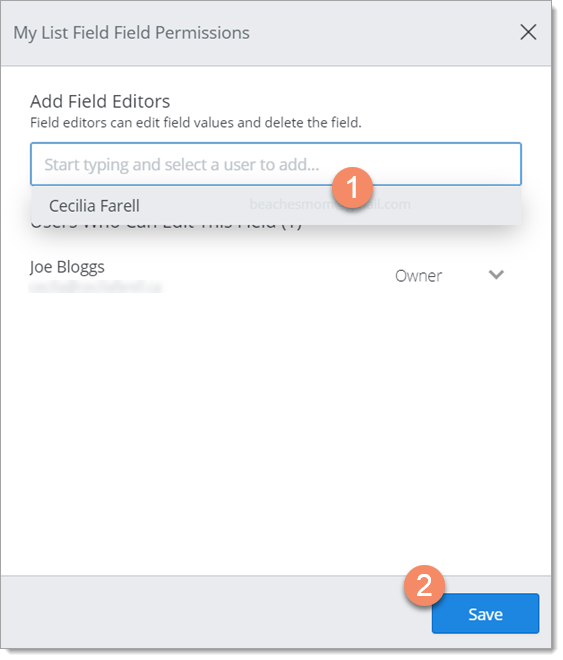 When you create a field, you automatically become the Owner and can edit the field any time. As an Owner, you can also add other users to the field as Editors, change a field's edit permissions, and transfer ownership of a field to another user. Field Editors can edit a field, but they can't add other Editors to it or change its permissions. 1. In the Items Table, mouse over the field header and click the Cogwheel icon. 2. In the dropdown, select the Edit field icon. 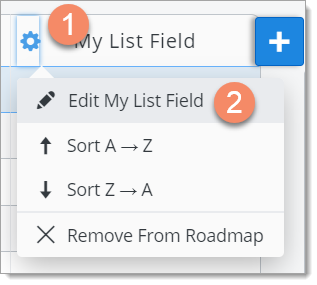 TIP: Above the link, you can see Field Sharing information including how many roadmaps are using the field, who owns the field, and how many users can edit the field (including the Owner). 1. Click inside the Add Field Editors field and select the user you want to add as an Editor. You can also start typing the user's name. The user will be added to the Users Who Can Edit This Field list below (Permission dropdown set to Edit). Change a field's edit permissions in the Field Permissions dialog. In the Users Who Can Edit This Field list, mouse over the user you want to remove, then click the X that appears to the right of the user's name. 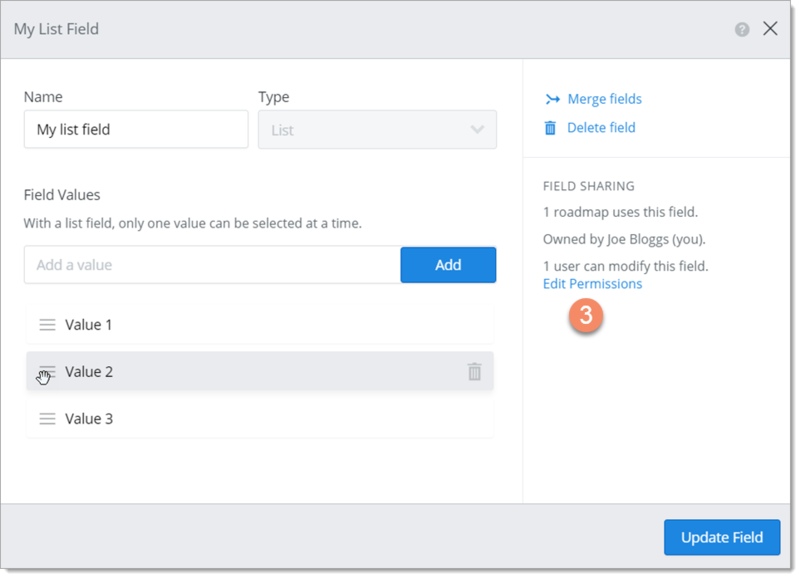 You can use the Field Permissions dialog to transfer ownership of one of your fields to another user just like to you can transfer ownership of one of your roadmaps. When you transfer ownership of a field, you automatically become an Editor. 1. In the Users Who Can Edit This Field list, select Owner in the user's Permissions dropdown. Your Permission is automatically changed to Editor (Edit). TIP: If you don't see the user in the list, add them as an Editor first as you did above.